Some say it is best to choose a type of onion best suited for your area: Northern US: Long Day. Southern US: Short Day. However, others say they grow many types of Onions just fine. 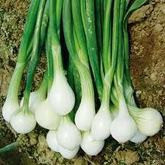 Bunching onions grow well in all regions. 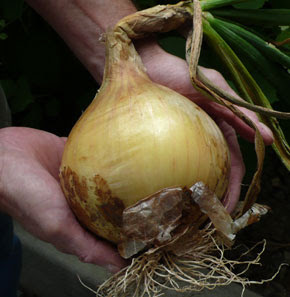 The best soil for onions has organic material and neutral pH. (If your onions are too strong, the soil may be too acidic.) 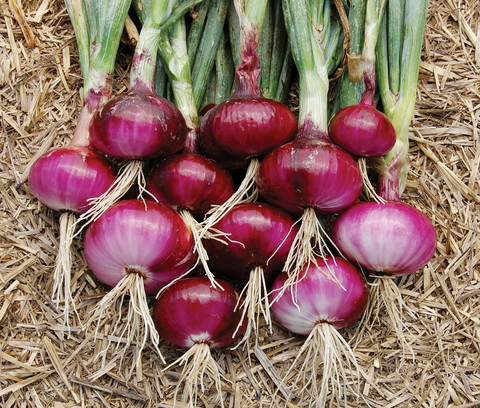 Onions like well drained soils, and the organic matter in the soil helps. Onions like more water initially as they grow. As they mature, onions do not require as much water. Depending on how much rain you get, they may be okay with just rainwater. Just make sure they get some kind of water every 3-4 days. Maturity rates vary with each type of onion from 65 days to 115 days. Onions should be harvested in the morning, but avoid any morning dew on them. Lay them in row to cure or air dry for a few days. But place them in the shade. The onions can actually sunburn.